This spring has brought signs of triumphant renewal well beyond the usual spring showers, budding leaves and blooming flowers. In Kyrgyzstan, the first-ever signs of a new generation—two snow leopard cubs and their mom—were spotted on a research camera inside a new sanctuary dedicated to snow leopard protection. In 2016, Woodland Park Zoo’s conservation partner, the Seattle-based Snow Leopard Trust, joined forces with the Kyrgyz government to convert the former hunting reserve of Shamshy, in Kyrgyzstan, into a sanctuary for snow leopards and ibex. These pictures confirm the first documented snow leopard cubs being raised inside the Shamshy Wildlife Sanctuary, or anywhere in the Kyrgyz Ala-Too mountain range. It is also the first sign of a breeding snow leopard population in this region of Kyrgyzstan. The snow leopard is an elusive and mysterious big cat native to the high mountain ranges of Central Asia and Russia, as well as Afghanistan, China, India, Mongolia, Nepal and Pakistan. Major threats facing the cats are poaching, retaliation killings by local pastoral communities, and loss of habitat and prey. For decades, ibex (a wild goat species with huge, backswept horns) were hunted legally in Shamshy, and their populations dwindled. The presence of snow leopards, although occasionally reported in the area, was never confirmed. Since the area was converted into a wildlife sanctuary, however, things are looking up, as the innovative approach has yielded very encouraging results. “One year after the Sanctuary was established, we captured the first ever snow leopard photos taken in the Kyrgyz Ala-Too mountain range where Shamshy lies. A first ibex count showed a healthy population of around 300 animals living here,” said Snow Leopard Trust Kyrgyzstan Program Director Kuban Jumabai uulu. 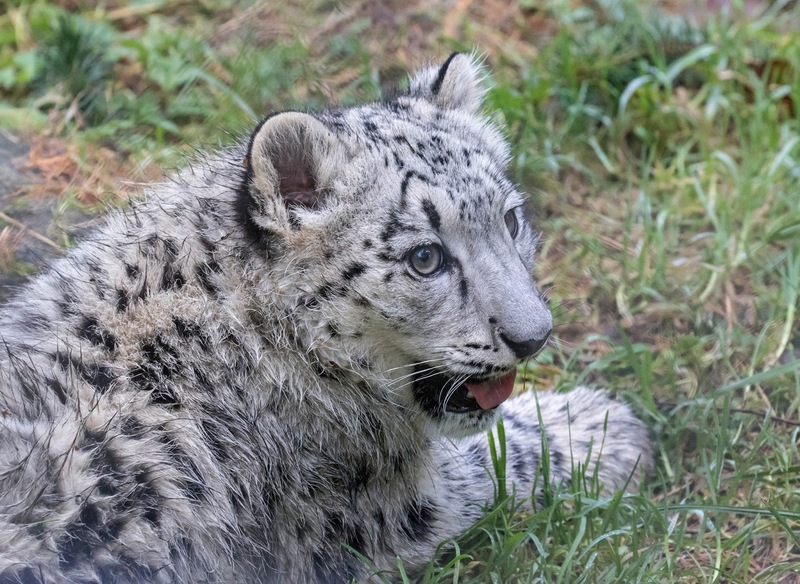 The Snow Leopard Trust was created in 1981 by the late Woodland Park Zoo staff member Helen Freeman. Woodland Park Zoo celebrated a milestone of its own last summer when a male snow leopard cub was born to mom Helen and dad Dhirin, both 12 years old. Aibek, which is Kyrgyzstani for “long living,” is the first offspring between mom Helen and dad Dhirin (did-in), both 12. Aibek can be seen at the zoo with mom Helen, who was named after Helen Freeman. Aibek, a young male snow leopard. Photo by Dennis Dow/Woodland Park Zoo. The management of Shamshy Wildlife Sanctuary is generously supported by David Shepherd Wildlife Foundation; Partnership Funding by Fondation Segré, managed by Whitley Fund for Nature; Woodland Park Zoo; Chattanooga Zoo; and many individual donors and supporters. 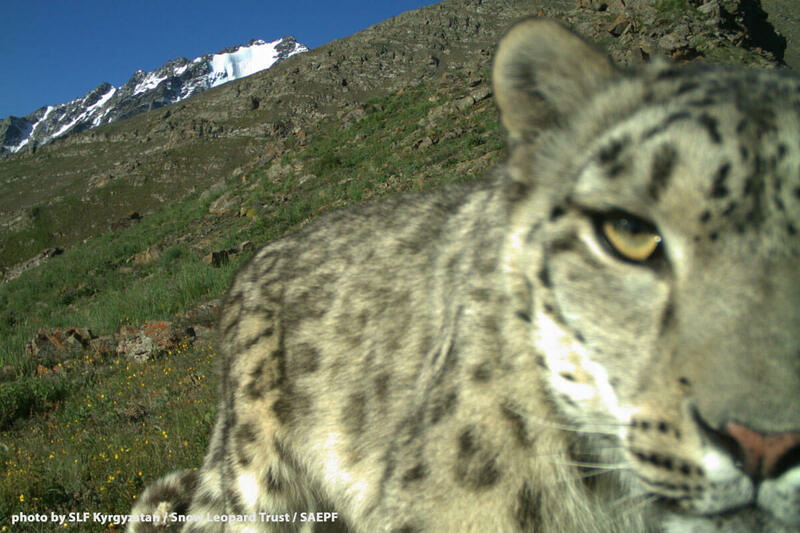 The Snow Leopard Trust, based in Seattle, Wash., is a world leader in conservation of the vulnerable snow leopard, conducting pioneering research and partnering with communities as well as authorities in snow leopard habitat to protect the cat. www.snowleopard.org.